The Roman Via Enatia was built in the 2nd century BCE running west-east through Roman occupied lands from the Adriatic Sea to Byzantium (which became Constantinople a few centuries later, then Istanbul… https://youtu.be/Wcze7EGorOk). The road begins on the eastern coast of the Adriatic Sea at the Albanian town of Durres (ancient Dyrrachium) and heads eastward for about 700 miles through some very rugged terrain, including multiple mountain passes. The modern countries on the route are Albania, the Republic of Macedonia, Greece and European Turkey. All roads lead to Rome, as they say, but the Via Egnatia required a transfer to the Via Appia, which picked up on the other side of the Adriatic and continued to Rome. The apostle Paul used the Via Egnatia to travel between Philippi and Thessalonica in northern Greece on his 2nd missionary journey. 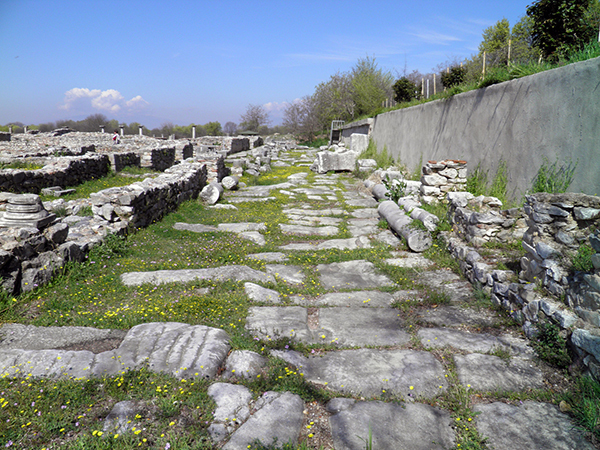 In the waning years of the Roman Empire, travel along the Via Egnatia, or any road in the Roman provinces for that matter, was dangerous and by the 5th century CE, the road was in serious disrepair. With the Byzantine Empire, centered in Constantinople, the road was restored and became an important trade route to western Europe. 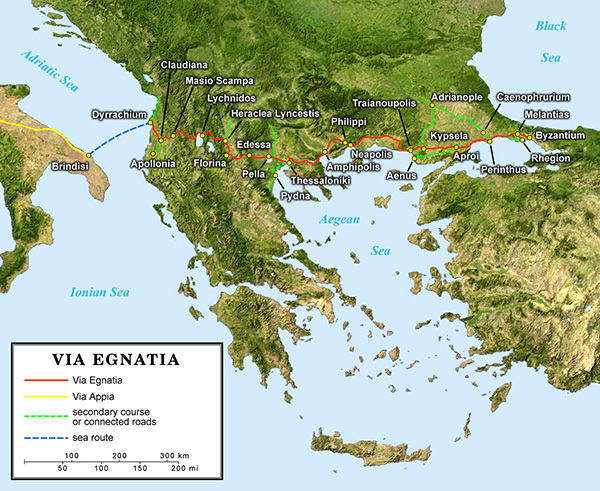 The Via Egnatia made up one leg of the crusader march from Europe to the Holy Land. Like many highways through once-Roman territories, the modern Egnatia Odos runs parallel to its ancient namesake from Thessaloniki, Greece to the Turkish border. This entry was posted in Greece, Turkey and tagged Greece, Istanbul, philippi, thessaloniki, Turkey, via egnatia by yalla2013. Bookmark the permalink.